In recent months we have spent many hours telling ourselves that we had more than enough to keep us busy here. The pigs, cattle, chickens and our 2 bedroom self catering holiday let (plus my day job) are keeping us busy enough, not to mention the 3 cats making a mess of the house! We had even developed the mantra “no more species” as a reminder in case we wavered at any point. Somehow this careful thought all fell by the wayside and we have now taken on some orphan lambs from a neighbouring sheep farmer. This is despite my belief that sheep are too much like hard work and generally seem to be looking for a new way to die. 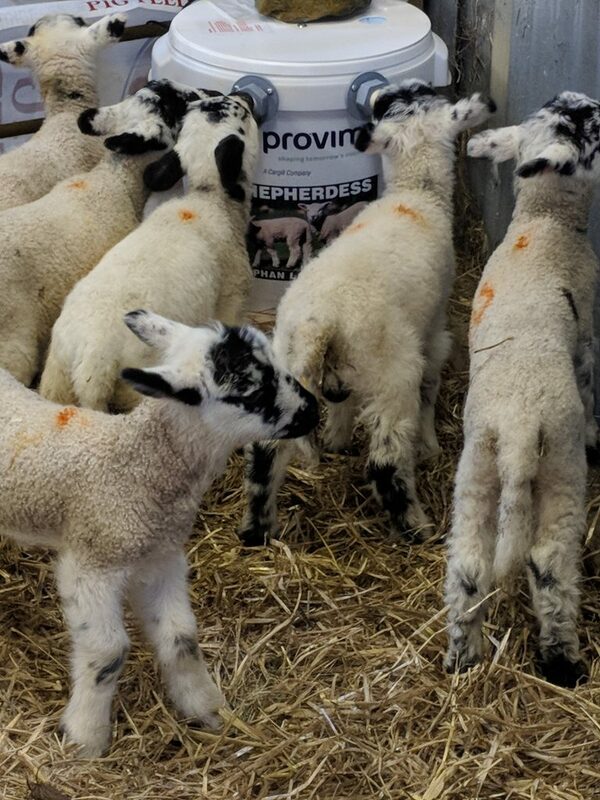 The idea was to raise a few orphan lambs through the spring and summer months so that we can find out what it’s like keeping sheep without much of the hard work like shearing or lambing – and hopefully none of the various ailments that sheep seem to get on a regular basis. Only getting 8 so why is there a number 9? 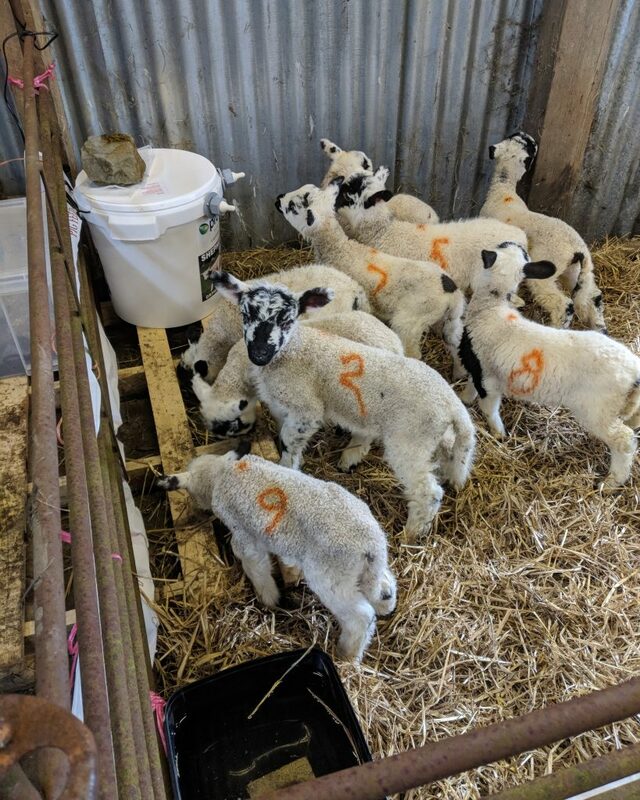 It was originally supposed to be just 8 lambs but when we went to collect them my better half had already picked out 10 as being suitable – presumably this was payback for my “mistake” when allowed out to buy pigs on my own a few years ago. The deciding factor for me was that everyone else in this area keeps sheep so I should really try it myself to see what’s involved. Of course, it’ll be nice to have some home-grown lamb at the end of it as well! We currently have 9 lambs penned in a barn with a semi-automatic feeder setup which will mean that we don’t need to bottle feed them at regular intervals. Number 10 was not quite strong enough yet so he’ll turn up later on. I’m just hoping that he doesn’t bring a couple more friends with him. So far so good and they’ve managed to survive over 24 hours in the hands of two completely inexperienced beginners. Luckily the neighbour is fairly close by and will be able to help with some advice or assistance if that becomes necessary. What harm can another two do..? 50 next year…….!! They look well Richard. What valiant farmers you are! !